When reading about a storied or legendary performer, typically in his or her obituary, we sometimes come across the expression that he or she “sang for three presidents” or words to that effect. Get ready for some uncle-braggin’. After waiting an appropriate, respectful amount of time following the death of a president — that of George H.W. Bush on Nov. 30, 2018 — I have something to share. 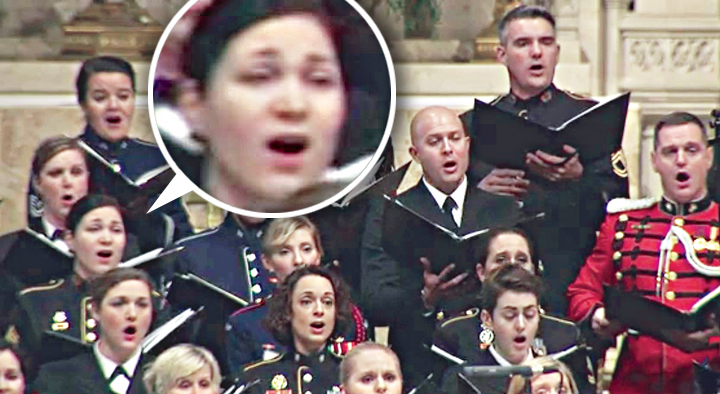 My niece Michaela Shelton — who is a soprano in the choir of the United States Army (known officially as the Soldiers’ Chorus) — sang with the choir during the memorial service for Bush held Dec. 5, 2018, at the Washington National Cathedral. On that day, the choir sang for five living presidents. From left are Donald and Melania Trump; Barack and Michelle Obama; Bill and Hillary Clinton; and Jimmy Carter. To the right of Carter (but not seen in this image) was his wife, former first lady Roslyn Carter. 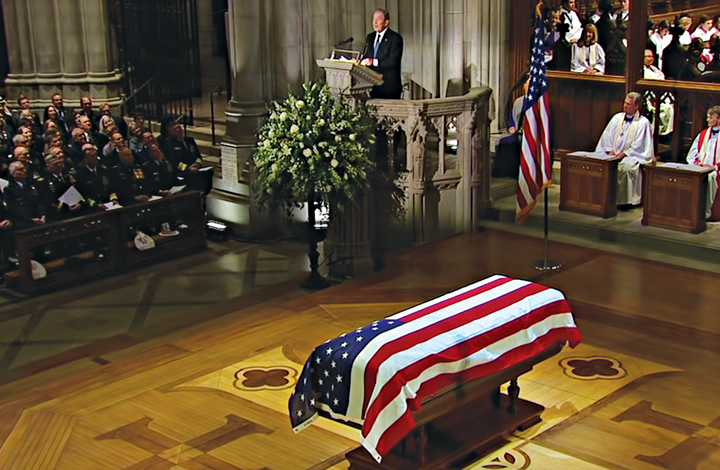 The 41st president lies in state while his son, former president George W. Bush, delivers a eulogy. 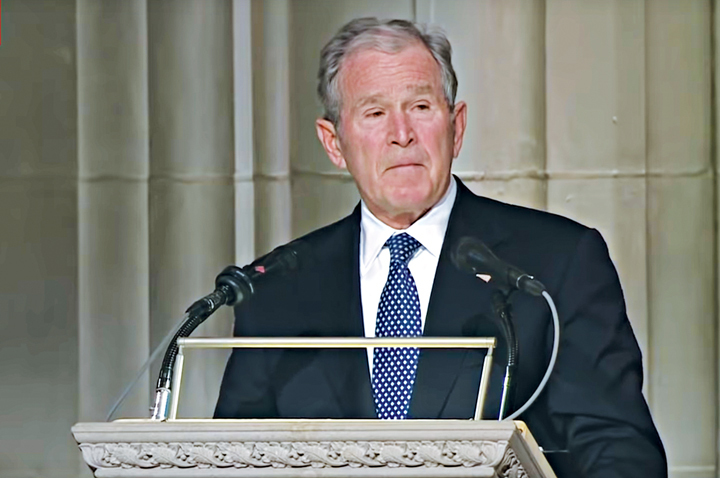 The younger Bush kept his eulogy light, but got a bit choked up several times. 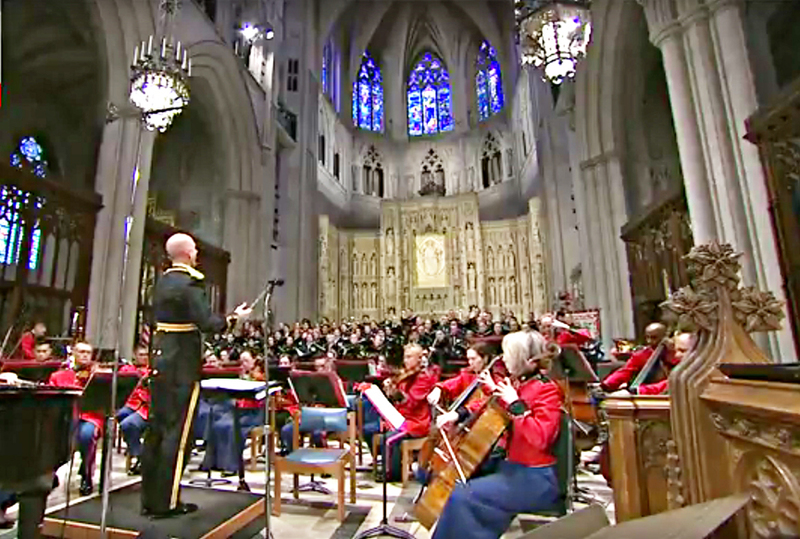 The Army band performs at the cathedral with the choir in the background. A closer look at the choir. 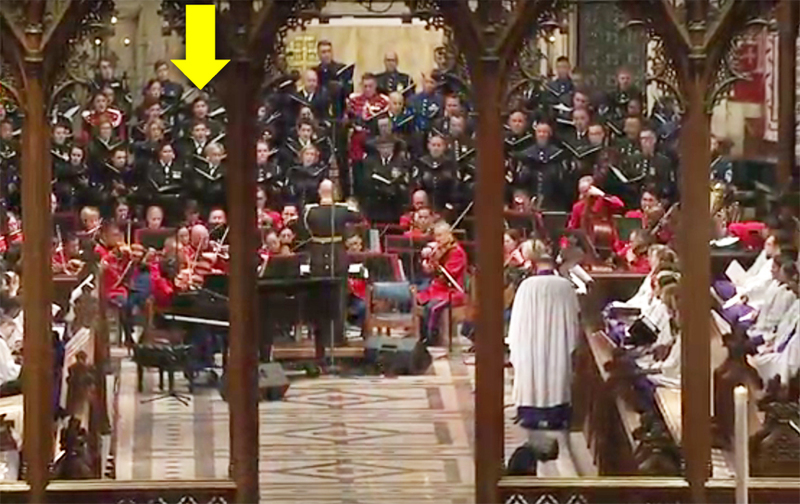 The yellow arrow points to Michaela, er, Sergeant Shelton. Above, Michaela performs with the choir at the Dec. 5 memorial service. VIDEO: Below are key moments from the ceremony. You can hear the choir briefly at 1:02 and 3:09. And I swear, I can pick out my niece’s voice in the mix.